There is something inside all of us that is awakened with ​light​. Welcome to Short&Sweet! We curate, distribute, exhibit and promote short film and the talent behind it. In a digital age, the Internet is the highway making it possible to access words, sounds, images and ideas. The medium is the message and our business is transformation. Since it’s inception in London, May 2006, Short&Sweet has been at the forefront of this rapidly evolving industry. London’s only weekly short film evening saw over 200 people each week for 5.5 years. With 10 years experience screening short films to audiences in 22 cities with established S&S hubs in 6 cities. 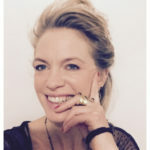 According to founder and curator, Julia Stephenson, the short film medium has the power to ‘liberate, educate, connect and delight’. The record shows that the Short&Sweet model can impact the sort of people we are and help shape our future. By creating immersive experiences, Short&Sweet allows audiences to become active participants rather than passive spectators. Short&Sweet is tailored to produce niche products designed to meet the needs of individual and corporate consumers. The Short&Sweet platform is life-giving and paves the way for dynamic new relationships. A key element is the curatorial and consulting work that Short&Sweet carries out for producers, film festivals, local and international institutions and private companies. We also work as a non-exclusive filmmakers agency, connecting clients with filmmakers to suit the brief and budget. Short&Sweet brings convergence and unity into a world of diversity. By breaking down barriers and stretching the imagination, the short film medium allows for rapid real time analysis and response about the way human beings interact and behave. Whatever your short film needs. Wherever you are in the world, Short&Sweet can CONNECT with you. Short&Sweet has an impressive global database and digital archive of the finest short films – live action, animation and music videos – and their makers waiting for you to unlock. Visit a live Short&Sweet Show. Need short video content for your business or brand? Contact us and we will connect you with a filmmaker that suits your needs, budget, timeline and location. Looking for short film content for your screen or channel? Contact us to curate (design) a short film programme that suits your target audience. Want to explore the world of short filmmaking? Attend our workshops or contact us to host a workshop at your school or venue? Fostering Community: We are committed to using the global Short&Sweet platform to expose the very best in filmmaking talent by curating short films that leave audiences awestruck and hungry to develop their own creativity and power. Supporting Short Filmmakers: We uncover the best in short filmmaking talent and helpa build careers by providing video production opportunities (Short&Sweet CONNECT), distributing curated short film content to venues, events and festivals as well as hosting our own bespoke short film nights around the world. Acting Sustainably: We believe stewardship of the earth is everyone’s responsibility. We strive to steadily reduce our environmental impact, both as a company and as individuals. See Solar Cinema. Advancing the Arts: We believe in fostering the creative spark in ourselves and others. Doing Good: Short&Sweet is a purpose-driven company. We value social good as part of the bottom line, and partner with companies who share our values. Raising Awareness: Many of the great challenges facing us today can be overcome or solved through education. We commit to using the Short&Sweet platform to educate, inspire and empower audiences around the world. Short&Sweet movement started by Julia Stephenson in London. Every Monday night a different selection of short films, music videos and short animations from around the globe screened to packed audiences in London. Admission was FREE! Short&Sweet is invited to curate the short film tent at C02penhagen festival, the first carbon neutral festival in the world. Short&Sweet 3D hosts the first 3D stereoscopic short film festival in the UK at the Barbican, sponsored by Courvoisier. Short&Sweet launches in South Africa, Cape Town. Watch S&S Cape Town’s launch night and A taste of South Africa’s Short&Sweet movement. Short&Sweet tours South Africa: Johannesburg, Grahamstown, Stellenbosch Short&Sweet Moments Captured. Short&Sweet SA hosts the first short film drive-in series. Short&Sweet Music Video Awards #1 – the first music video awards festival in South Africa to give credit to the talent behind the lens. The winning best new director was signed to Caviar Content in London for 1 year. Watch the MVA #1 aftermovie. Short&Sweet Amsterdam Season 2 kicks off. Short&Sweet Vic Falls Season 1 launches (Zimbabwe). Short&Sweet Cape Town hosts the only weekly short film silent rooftop experience (a wireless experience). Short&Sweet Barcelona Season 1 launches Watch S&S Barcelona Aftermovie. Julia Stephenson has mastered the art of presenting, promoting and procuring short film. Born into a world of diversity and advancing technology she has embraced the digital age in style by keeping her finger on the pulse of short film. For more than a decade Julia has brought short film to cities and cities to short film. Continuously plotting the business, she aims to bring short film to the masses and make the medium accessible to all. What better way of reaching the global consumer? She epitomises the restless, pioneering spirit of the new economy. Under the imprint of Short&Sweet her name has become synonymous with short film. Julia breathes new life into the entertainment industry, education and business. Part of the secret of her success is her intimate knowledge of what’s trending and her network of international filmmakers. By sheer force of personality, Julia’s approach works. With trained eye for spotting new talent, her unique drive and enthusiasm seeks commercial opportunities to bring out the best in people. Her subsequent ventures – Pop-up cinema, solar-powered cinema, Short&Sweet CONNECT– are all part of the short film platform that fuels her vision. Julia brings creativity, conviction and challenge. She believes that the future belongs to creatives. Short&Sweet hosts events all year round and is always looking for volunteers or students who want to gain valuable work experience and meet industry players. Remember relationships are key to the development and success of your film career. The bigger your network, the greater your chance.